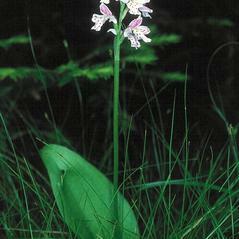 Galearis rotundifolia, commonly called Roundleaf Orchid, is found across Canada to Alaska and in northern U.S. states from Maine to Wyoming. 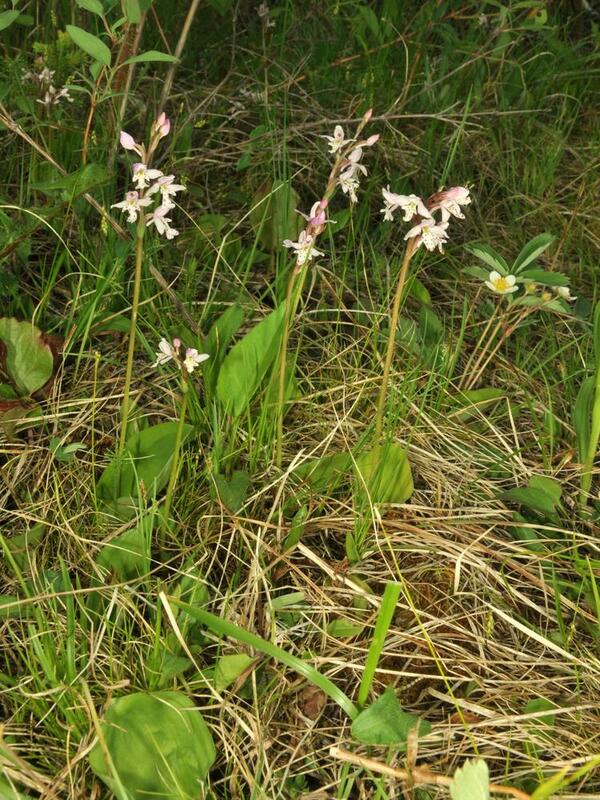 The name "rotundifolia" refers to this plant's solitary, rounded basal leaf which is present at the time of flowering in the summer, when up to 17 small, white to pale pink flowers are produced, often with mauve spots on the lobed labellum. 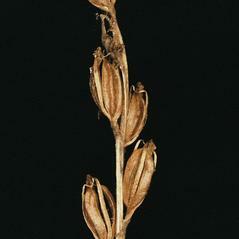 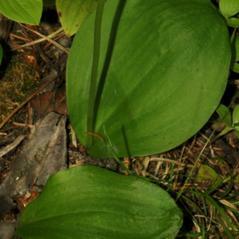 It is generally found near northern white cedars and in high-pH swamps and fens. 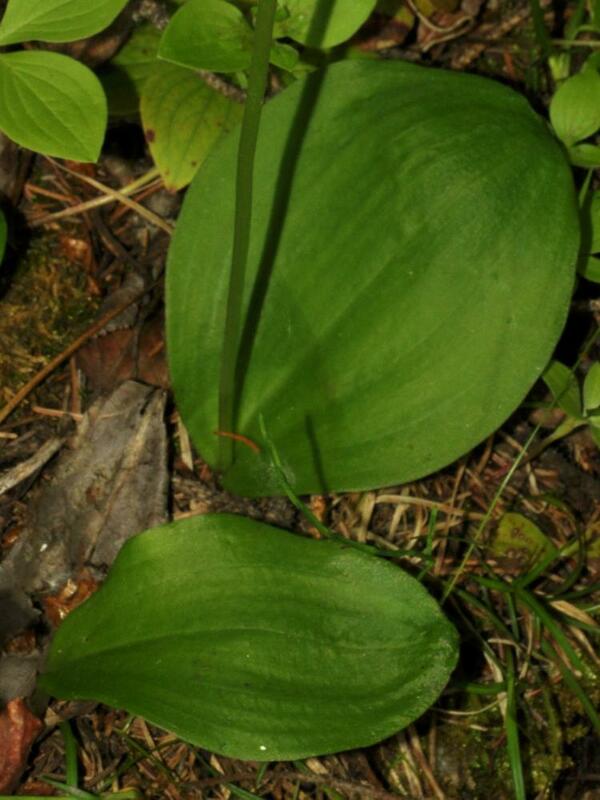 Although Galearis rotundifolia is considered globally secure, it is rare throughout much of the United States, with only one eastern state possessing an extant population (Maine). 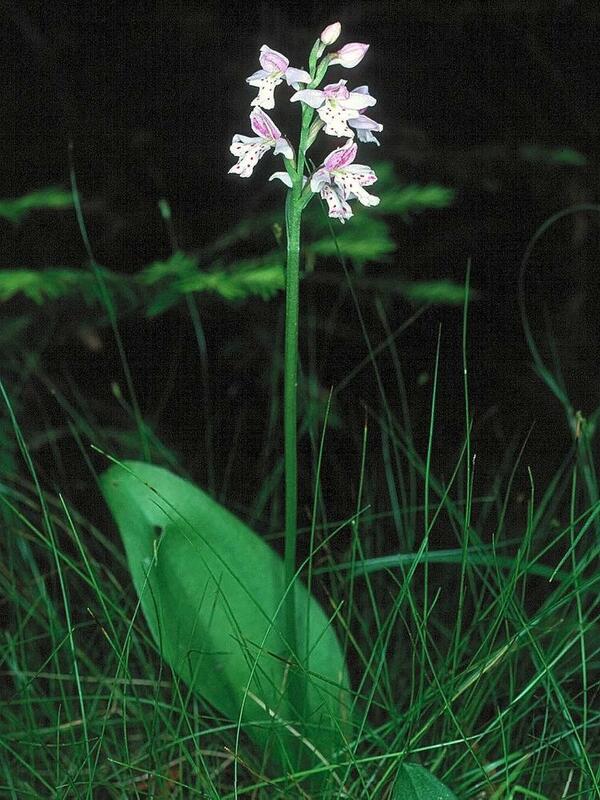 In all other eastern states, this orchid is considered historical or extirpated. 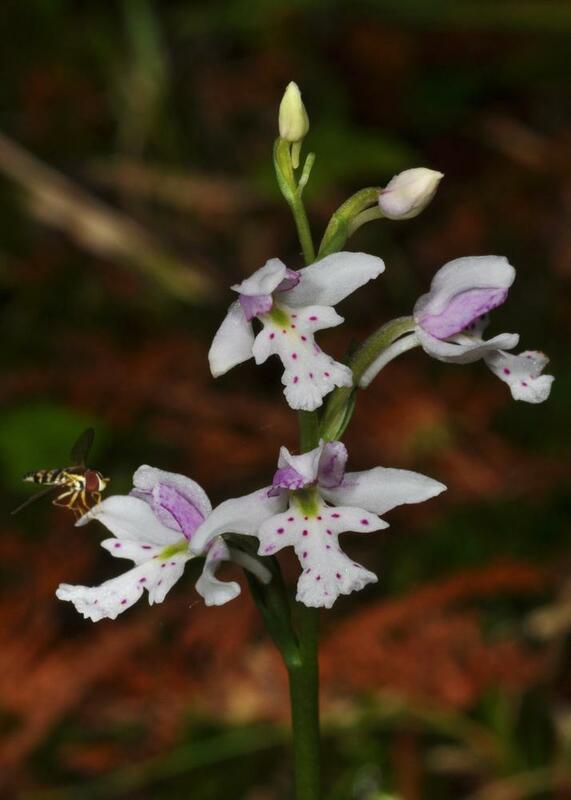 The scentless flower of this orchid relies on food deception with its nectar-free spur to attract pollinators such as the mason bee Osmia proxima and hoverflies, such as Eriozona laxus, Eristalis hirta, Eristalis rupium and Eupeodes lapponicus. 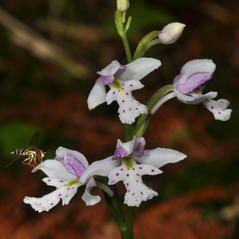 The pollinating bee or fly lands on the lip and probes the spur which is approximately the same length or longer than the insect's tongue. 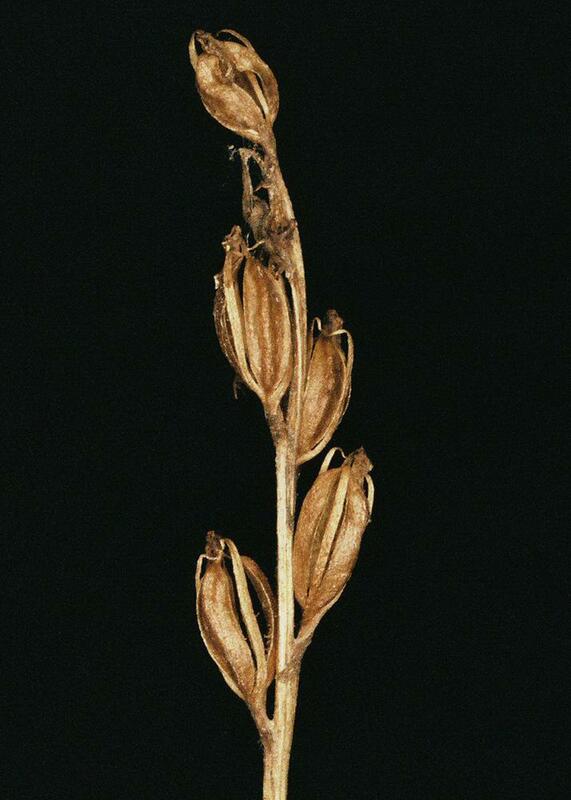 In the process of pushing into the flower and backing out, the sticky pollen attaches to the front of the insect’s head and is carried off to the next flower it visits. 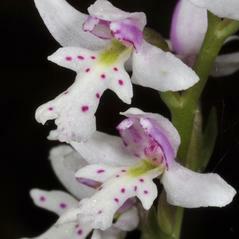 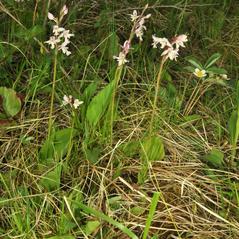 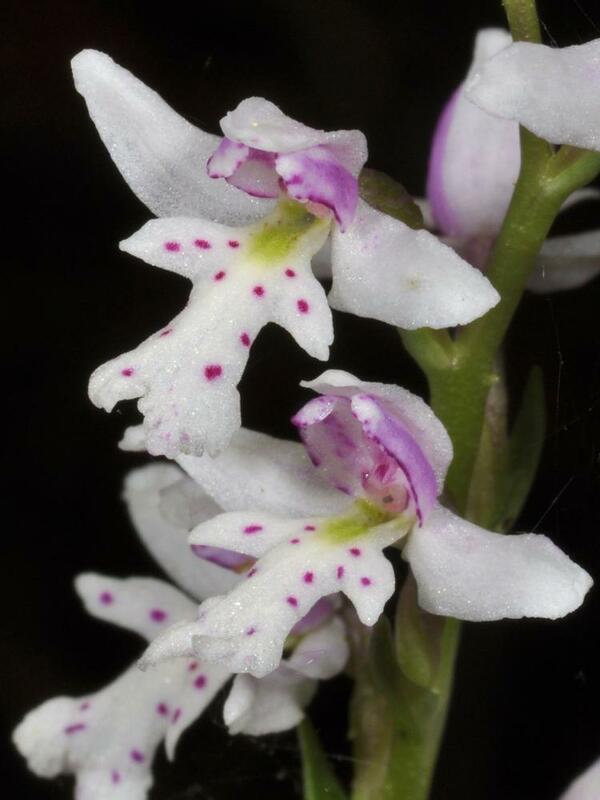 Two known mycorrhizal associates for this orchid include Ceratobasidium obscurum and Phialocephala fortinii.